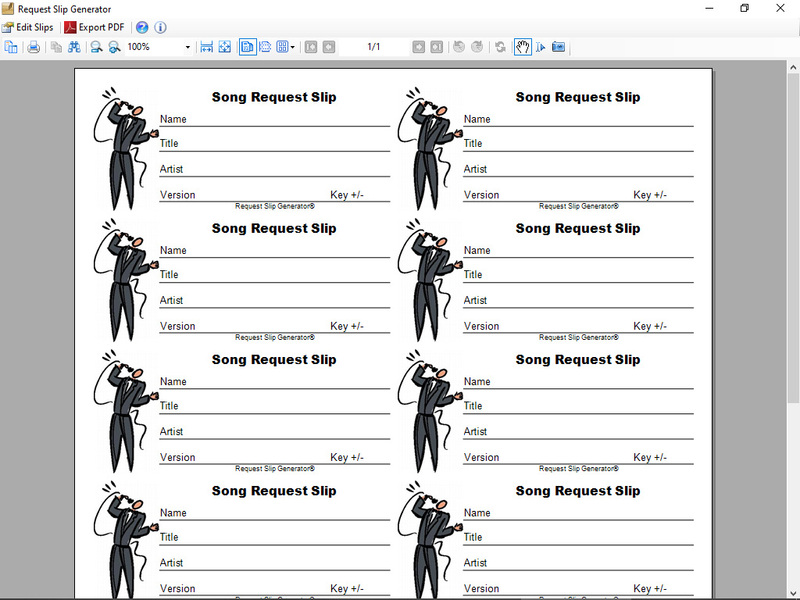 Generate professional song request slips for use in Karaoke and DJ shows. Simple to use interface makes the task of making professional request slips a breeze. Various options include custom sheet arrays and sizes, custom fonts and font sizes, optional border styles, and the ability to add your own custom logo, or simply choose from one of the built-in generic logos. - Over 30 generic logos included! - Oh yeah, it's FREE!!! "Two thumbs up! A very worthwhile program... Especially if you want to make personalized request cards for each venue.""